Christian boarding school for struggling teenage girls from Alabama. – Christian boarding schools and Christian schools for troubled youth. Discover Wings of Faith Academy, a Christian Boarding School for Girls. The Christian boarding School in Missouri Helps Adolescent Girls from Alabama. Wings of Faith Academy is a Christian boarding school was founded to help girls who are struggling, including from the state of Alabama. If your child seemingly changed overnight to become angry and possibly a danger to herself or her future, our secure and safe Christian boarding school can make all the difference. Girls who attend WOF are those who have perhaps threatened to run away from home, or who are consistent manipulators, or using drugs and alcohol, or being promiscuous. Your daughter in Alabama may be trying to take advantage of your weaknesses, so it is possible that you may feel like it is your fault and blame your own parenting for her troubles. But it is important to remember that you are not the problem; her goal is to make you feel bad about yourself, so that you’re more likely to give in. Our boarding school works closely with each teen within our care to help her improve her behavior. We focus on coping skills, character, self control, personal accountability and good habits. We enable them to repair and rebuild broken relationships with their family. Wings of Faith Academy is an affordable, highly successful, residential option for teens who are struggling. 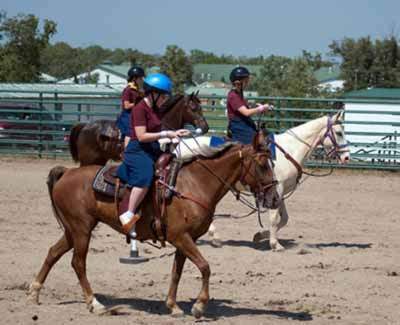 We enroll girls in our Christian boarding school from Alabama, throughout the year on our Missouri ranch campus. As you search in or around Alabama for a Bible-based Christian boarding school which can help, we invite you to consider Wings of Faith Academy. Though it is not located in Alabama, Wings of Faith is more than 50% less of typical therapeutic boarding schools in America, including Christian therapeutic boarding schools near Alabama. We have helped hundreds of teen girls from Alabama and throughout the the world. Many young ladies come to our Christian boarding school failing or falling behind in academics due to distractions of life issues. Our accredited senior high school curriculum gives girls a chance to catch up on missing or failed credits and graduate senior high school in a timely manner. We focus on spiritual growth throughout our program. We teach biblical principles to address the critical issues that teens face. We have seen miracles occur in the lives of even the most rebellious teens. This Christian boarding school was created to help heal families from Alabama, and from places everywhere in the nation. Fill in our inquiry form or contact us to hear from an admissions counselor. To find out more, we invite you to read the rest of our website, then complete our inquiry form or contact us directly at (417) 276-7185. Birmingham is the largest city in Alabama. The city is the county seat of Jefferson County. According to the 2010 United States Census, Birmingham had a population of 212,237. The Birmingham-Hoover Metropolitan Area, in estimate by the U.S. Census Bureau in 2009, had a population of about 1,212,848; approximately one-quarter of Alabama’s population. Birmingham was founded in 1871, just after the American Civil War, through the merger of three pre-existing farm towns, notably, former Elyton. It grew from there, annexing many more of its smaller neighbors, into an industrial and railroad transportation center with a focus on mining, the iron and steel industry, and railroading. Birmingham was named for Birmingham, one of the major industrial cities of the United Kingdom. Most of the original settlers who founded Birmingham were of English ancestry. The city was planned as a place where cheap, non-unionized, and African-American labor from rural Alabama could be employed in the city’s steel mills and blast furnaces, giving it a competitive advantage over industrial cities in the Midwest and Northeast. From its founding through the end of the 1960s, Birmingham was a primary industrial center of the South. The pace of Birmingham’s growth during the period from 1881 through 1920 earned its nicknames The Magic City and The Pittsburgh of the South. Much like Pittsburgh, Birmingham’s major industries were iron and steel production, plus a major component of the railroading industry, where rails and railroad cars were both manufactured in Birmingham. In the field of railroading, the two primary hubs of railroading in the Deep South were nearby Atlanta and Birmingham, beginning in the 1860s and continuing through to the present day. The economy diversified during the later half of the twentieth century. Though the manufacturing industry maintains a strong presence in Birmingham, other businesses and industries such as banking, telecommunications, transportation, electrical power transmission, medical care, college education, and insurance have risen in stature. Mining in the Birmingham area is no longer a major industry with the exception of coal mining. Birmingham ranks as one of the most important business centers in the Southeastern United States and is also one of the largest banking centers in the United States. In addition, the Birmingham area serves as headquarters to one Fortune 500 company: Regions Financial. Five Fortune 1000 companies are headquartered in Birmingham. In the field of college and university education, Birmingham has been the location of the UAB School of Medicine and the University of Alabama School of Dentistry since 1947, and since that time, it has also become provided with the University of Alabama at Birmingham (founded circa 1969), one of three main campuses of the University of Alabama, and also with the private Birmingham-Southern College. Between these two universities and Samford University, the Birmingham area has major colleges of medicine, dentistry, optometry, pharmacy, law, engineering, and nursing. Birmingham is home to three of the state’s five law schools: Cumberland School of Law, Birmingham School of Law, and Miles Law School. Birmingham is also the headquarters of the Southeastern Conference, one of the major United States collegiate athletic conferences. Excerpt about Christian boarding schools in Alabama, used with permission from Wikipedia. Should you need help finding boarding schools for troubled boys, schools for troubled teens, therapeutic boarding schools or schools for troubled teens, please let us know. If you are searching for troubled youth homes, troubled teen schools or troubled teen boarding schools, you have found one. Homes for troubled teens and boarding schools for teens don’t typically offer teen counseling and therapy, but we do. Our therapeutic boarding school is among best therapeutic schools with counseling. Our troubled teen school and residential treatment program for teens is affordable. The Wings of Faith religious, faith-based, therapeutic residential school helps turn around rebellious girls who are defiant or out of control and get them back on track spiritually, mentally and academically. Compare our girls boarding school to therapeutic programs and other religious residential schools for girls. Call us to see how affordable our school for girls can be. Wings of Faith is a therapeutic boarding school for struggling teen girls, ages 8-17. If your teen girl is deceitful, struggling with authority, running away, coming home late, sexually promiscuous, failing school, or has been diagnosed with Attention Deficit Disorder, Attention Hyperactivity Deficit Disorder, Oppositional Defiance Disorder, or depression, Avoidant Personality Disorder, Compulsive Personality Disorder, our boarding school for girls can help. Christian boarding school for struggling teenage girls from Alabama.